It's easy to plan and book your perfect island vacation. Enter your schedule and search for vacation packages, hotels, flights, or car rentals. Special rates for Executive Suites, includes 2-nt min. stay, $100 dining credit, daily newspaper and welcome drink. Experience 2 of Hawaii's most popular islands on our Hawaiian Escape! Aerial view of Hanauma Bay. Photo courtesy of Hawaii Tourism Authority (HTA) / Heather Titus. Planning your next Hawaii vacation? An all inclusive Oahu vacation package is the most convenient way to book your trip and save on airfare and hotel. Each package provides roundtrip airfare, hotel, meals, & various activities. Our vacation deals change everyday so if you see something you like, book it before it’s gone. Visit the USS Arizona Memorial and take a 120-mile tour of Oahu Island from $97.99. 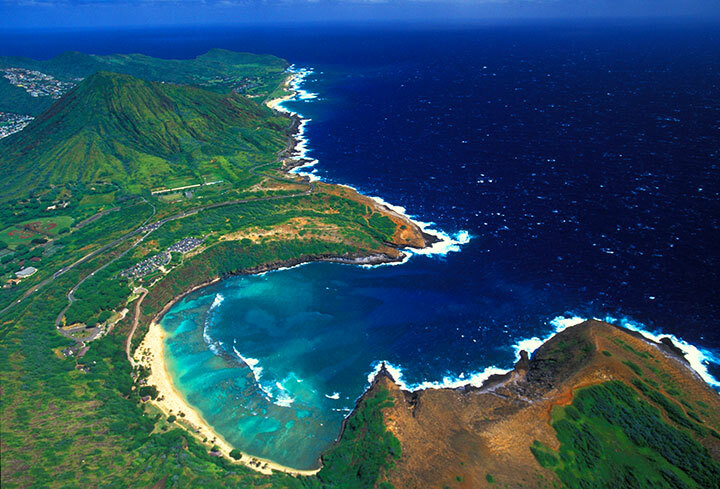 Tours from Maui, Kauai and Big Island start at $329.99.